Many of the popular Niagara Falls motels are clustered around Horseshoe Falls, and especially in the Clifton Hill district. 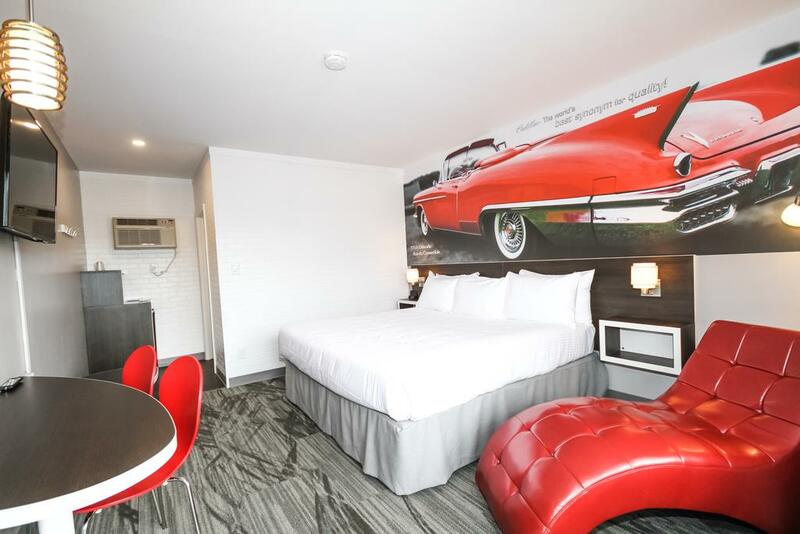 Motels in Niagara Falls downtown and its rooms are simply decorated, with basic amenities, like TV, fridge continental breakfast, Internet… Majority of these motels provide affordable rates and discounts. Try to find a tourist office, as they carry maps, all kind of information and booklets with numerous coupons for attractions, tours, restaurants… and even motels. 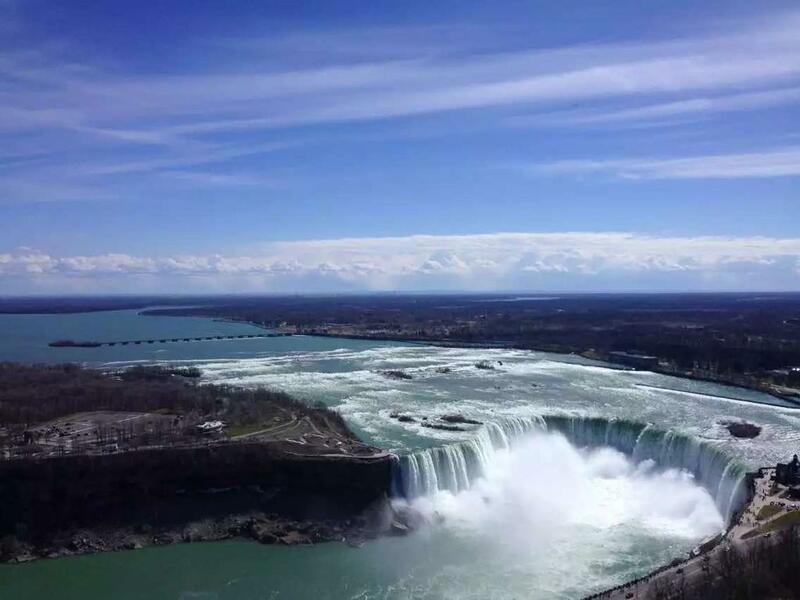 Motels in Niagara Falls are OK for one or two nights and especially for couples and budget oriented families as an inexpensive way to go through the night. Typical Niagara Falls motels are places centrally located, with the famous “romantic” heart shaped Jacuzzi tub rooms, designed for couples. These places with a cheap accommodation are good alternative for visitors looking for a bed only, and they provide an easy access to Clifton Hill, with all the fun, entertainment and bars it offers. Clifton Hill is noisy area, with a lot of traffic, so booking a room away, at the end of the motel, is a good idea. 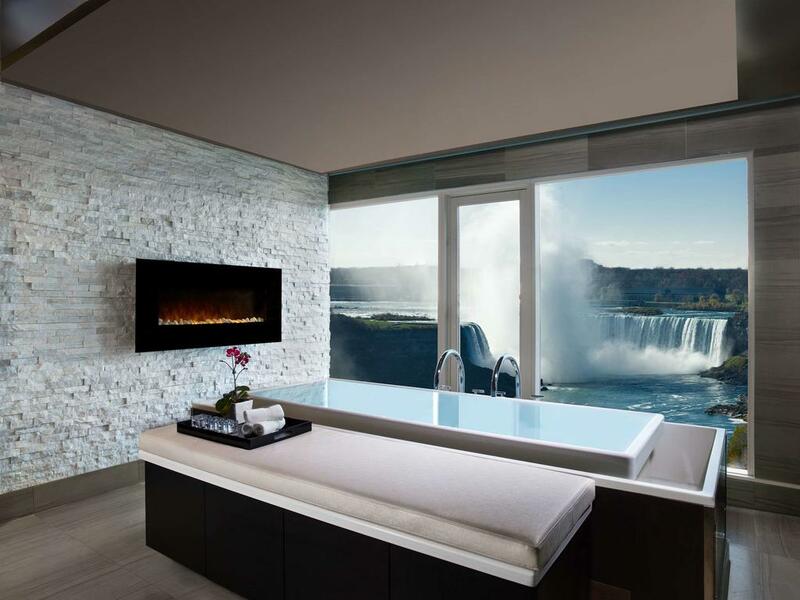 For families, we suggest you to go with cheaper hotels or Inns, since they provide a higher quality of the service, have more amenities and provide also Niagara Falls deals you will like. 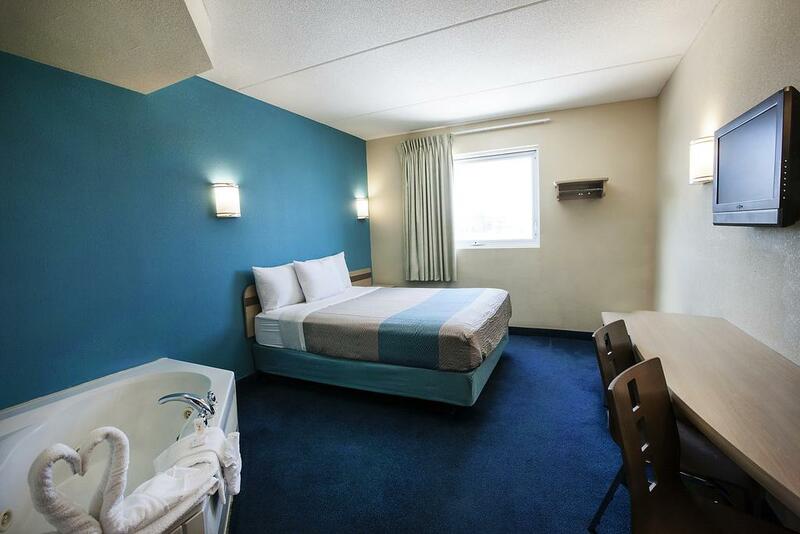 One of the decent and affordable Niagara Falls motels that we recommend is Motel 6. It is situated on a convenient spot, only few blocks from the Clifton Hill area on one side, and minutes away from the top high raised hotels, Niagara Falls, Skylon Tower and Fallsview casino resort on the other side. If you have been attracted by the room rates, and in order to avoid any disappointment, we suggest you to inspect these motels personally. Even if you are on a budget, it is good to know that the cheapest motels you will find there, are not offering much. They are not even attractive. Better option is to book one of the cheaper hotels or Inns. There are many available, with good location and rates, and more quality amenities. Many people are not willing to pay for costly accommodation, like in high or moderate class hotels, Inns and bed and breakfasts. They will rather sacrifice the quality and number of amenities, just to have more money for attractions, to play at one of the casinos or any other kind of entertainment. And these are the reasons why to search and book a room in one of Niagara motels instead. 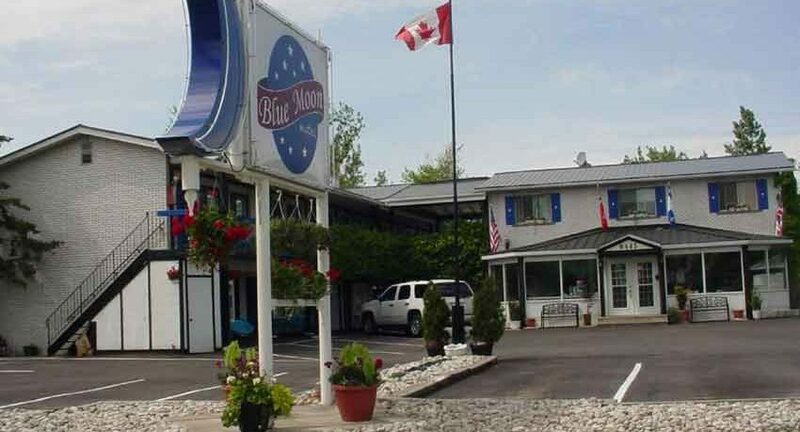 … is one of the budget oriented family motels in Niagara Falls, where children under 12 stay for free. 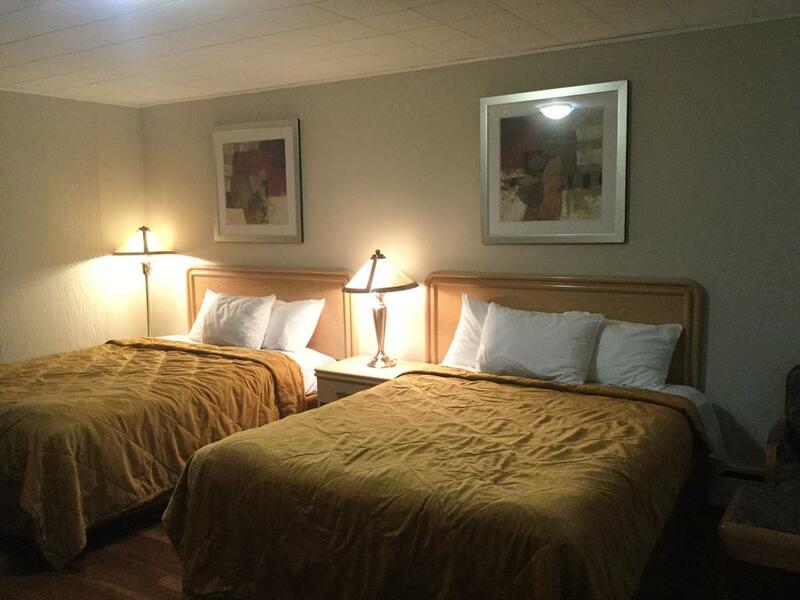 A1 Motel is situated 2 miles from Niagara Falls, Canada and old casino, and minutes away from the Outlet Mall. …is located on Lundy’s Lane Street, 5 km from Niagara Falls, Canada, and minutes away from factory Outlet Mall. It offers 53 units and 6 suites: honeymoon, regular rooms, and family Units (3 double beds with fully equipped kitchenette). Amenities: Heated outdoor swimming pool, discount coupons upon arrival, licensed babysitting services available, guided tours, and car rentals available. …is located on Lindy’s Lane Street, really nice reviews, family oriented and affordable accommodation. Motel offers one, two and three bed units. Amenities: AC, in ground heated swimming pool, picnic garden with BBQ, children’s area. Many family restaurants are available nearby and water-park across the street. Vacation packages are available. …is located in the heart of the Niagara tourist district, in 5342 Ferry St, within walking distance of the Niagara Falls, Casino Niagara, Skylon Tower, IMAX theater and only few blocks from Clifton Hill. Cadillac motel features 23 single, double, and family units with convenient ground floor access. The parking is free. The Cadillac motel also offers a fully furnished vacation rental home with 3 separate bedrooms for up to 8 people. The vacation home is adjacent to the motel and it is intended for large families with kids (kids under 10 stay for free), but not for young adults.